Hi guys! 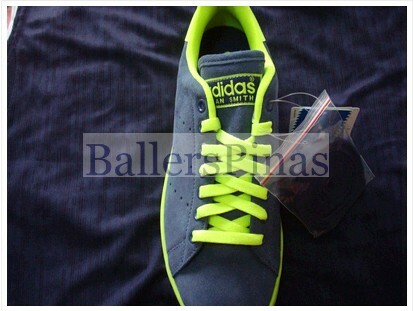 I'm gonna show you one of the newest color of the Adidas Stan Smith 2 which I got from Adidas. When I got hold of this shoe, it looks quite stylish and durable because of its unique color and the soft leather that it has. This shoe was inspired by the legendary Stan Smith who was a great tennis player. Thus, this shoe can be used both for playing tennis and for casual wear. 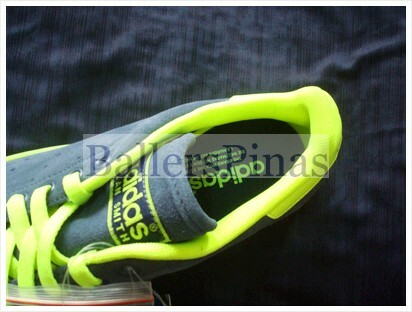 This shoe looks cute because of the glow in the dark color of the out sole lining of the shoe. When the lights goes off, the green color will be more noticeable. Now, I'll give a quick personal review of the Stan Smith 2. This is the shoe that's fresh from the box. You'll see the price and the Stan Smith brand name. The color is refreshing to the eyes. Green is always friendly and cool to the eyes. That's what I experienced when I looked at it. The royal blue pure soft and fine 100% leather will surely appeal to those who love to walk a lot. The leather will be durable enough for everyday use. From the top view you'll see the metal eyelets for easier shoe lacing. The tongue of this shoe has the Stan Smith sign that's color green. 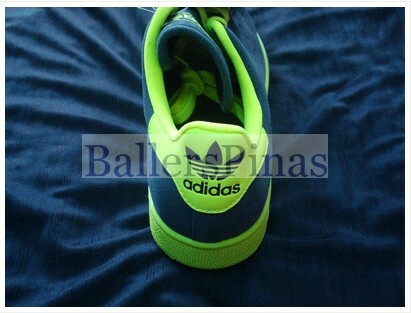 The shoe lace is also green but there's an extra shoe lace that's color blue. That makes this shoe more versatile. If you want to look rugged use the blue shoe lace and if you want to use it as a fashion statement use the green shoe lace. Let's visit the inside sole of the shoe. 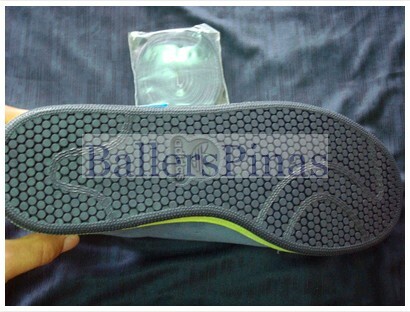 You'll see the shoe padding that's also color blue. The Adidas sign is green. When I slid my foot in the shoe, it felt great. This shoe is very comfortable inside. The rubber out sole of this shoe is embossed with the Adidas sign with the classic trefoil leaf. 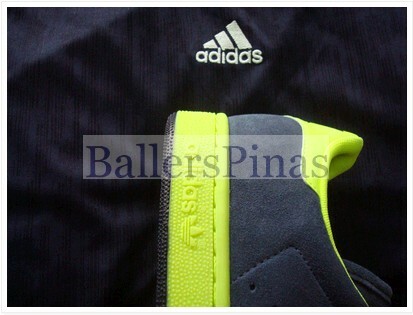 You'll notice that the patented Adidas three stripes are not on the outside of the shoe. Instead of the three stripes, there are small air holes that form three parallel lines. At the back you'll see the Adidas classic trefoil symbol. That looks awesome. The out sole of this shoe seems to be durable and when I walked using this shoe, it doesn't slip. It seems to stick on the ground. There you have it. 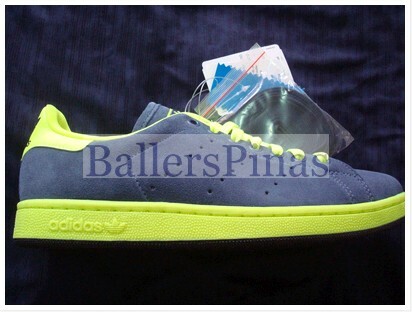 This is the new Adidas Stan Smith 2. It costs 3,295 pesos. 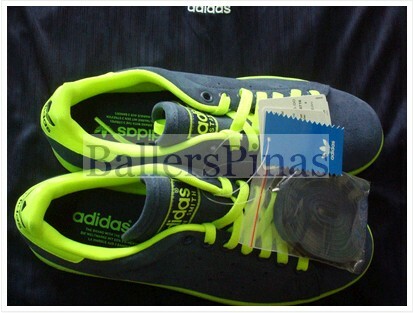 You can buy this shoe in all leading Adidas outlets in the Philippines.